When you try to attach a SQl Server database (MDF file), you might face this “Access is denied” error. One of the example is the AdventureWorks sample database. Locate the SQL Server Management Studio shortcut. Right click on the shortcut and select “Run as administrator”. You should be able to attach the database now! 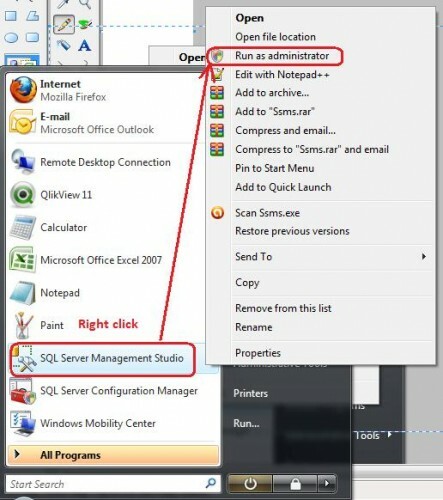 This entry was posted in Guide, Software and tagged database, management studio, microsoft, sql, sql server, sql server management studio. Bookmark the permalink.